(Update): Farmers in Punakha who lost their paddy to heavy rain and windstorm last week are measuring their year’s work go in vain. The untimely rainfall that lasted seven minutes destroyed over 100 acres of paddy fields across Punakha. With most farmers depending on paddy as their primary source of income, the incident had left many of them worried. Dzongkhag agriculture officials said the damage this year was more severe compared to similar incidents that happened before. The most affected gewogs were Goenshari, Kabisa, Chhubu and Shelnga-Bjemi Gewogs. In Kabisa, 22 acres of paddy were damaged belonging to 23 households. Tshering Yangden of Damchi Village in Kabisa owns one and half acres of land and she lost an acre to the windstorm. She had just about decided to harvest when the windstorm struck. As weather improves today, farmers in Damchi are seen harvesting what’s left of their paddy. 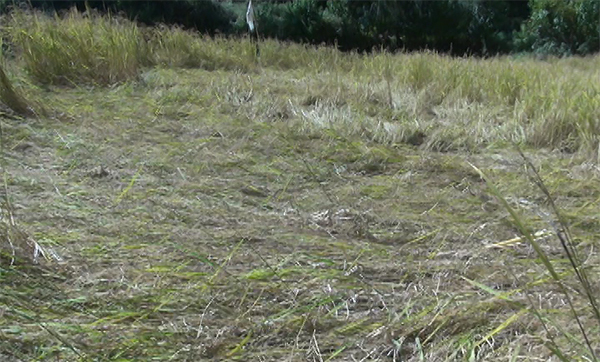 At Goenshari, about 40 acres of paddy were damaged while Chhubu lost 25 acres and Shelnga-Bjemi 21 acres. Senior agriculture officer NB Adhikari said most of the farmers depended on paddy for their income. Meanwhile, the Dzongkhag Disaster Management Committee submitted their report to the Department of Disaster Management and the agriculture ministry based on which compensations to the affected farmers will be decided.